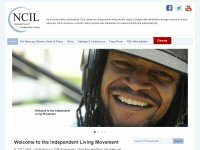 Need a list of Centers for Independent Living in Kansas? 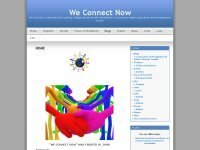 Looking for services in your area? Click Here for a map of KS CILs. Making Homes Visitable - A guide for Wheelchair Users and Hosts, Dot Nary, Ph.D., Brenna A. Buchanan Young, M.A. ARCH, & Val Renault, M.A. Doing a home remodel or building your forever home, check out this practical resource! The KanCare program is the State of Kansas plan to transition Kansas Medicaid into an integrated care model. 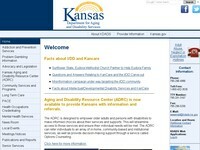 Kansas has contracted with three new health plans, or managed care organizations (MCOs), to begin coordinating health care for nearly all Medicaid beneficiaries. 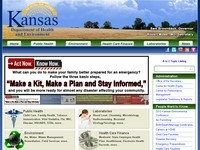 The KanCare program is scheduled to begin in January 2013. 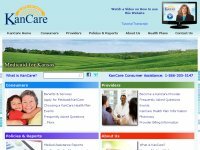 The KanCare health plans are Amerigroup of Kansas, Inc. (Amerigroup), Sunflower State Health Plan (Sunflower), and UnitedHealthcare of the Midwest (United). 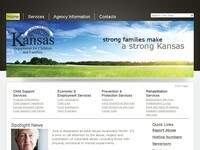 DCF is a new agency focused on protecting children, promoting healthy families and encouraging personal responsibility. The Kansas Health Institute was established in 1995 by the Kansas Health Foundation to be an information resource for state policymakers. The foundation made the commitment based on its conclusion that health policy decisions often were based on fragmented, anecdotal and sometimes biased information. 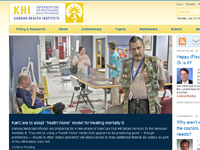 The Kansas Department for Aging and Disability Services mission is to foster an environment that promotes security, dignity and independence, while providing the right care at the right time in a place called home. 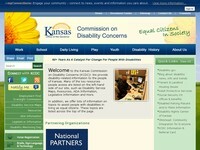 We provide disability-related information to the people of Kansas. 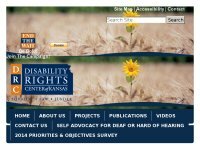 Many of the key resources people access are listed on the left-hand side of our site, such as Disability Service Maps, Resources, ADA Information, Legislative Information and more. The vision of the State Plan for independent living in Kansas is an inclusive community which would enable Kansans to live in the environment of their choice. 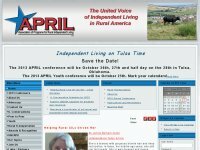 The Association of Programs for Rural Independent Living (APRIL) is a national grassroots consumer controlled, nonprofit membership organization consisting of centers for independent living, their satellites and branch offices, statewide independent living councils, other organizations and individuals concerned with the independent living issues of people with disabilities living in rural America. On April 18, 2011, Kansas Governor Sam Brownback signed the Kansas Secure and Fair Elections (S.A.F.E.) 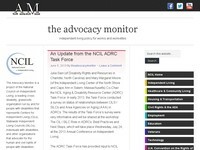 Act into law. 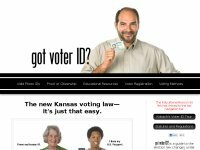 Sponsored by the Office of the Kansas Secretary of State, this website contains information every voter should know about changes impacting elections under the S.A.F.E. law. KSDS, Inc. is a 501(c)(3) non-profit organization promoting independence and inclusion of individuals who are visually impaired or physically disabled by providing highly-trained canine assistance and support. We also provide social dogs for professionals who could use some canine assistance in their specialty. 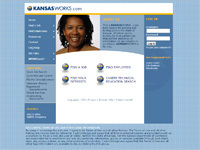 This is KANSASWORKS - your best source for posting and finding jobs in the state of Kansas. Whether you're looking for that perfect job, that perfect employee or information on an industry or workforce, KANSASWORKS is for you. The AAAC works with all units at the University to insure that every student has an equal opportunity to succeed at KU. We are here to help you whether your disability is physical, medical, sensory, psychological, or related to attention or learning. 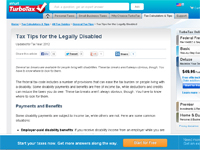 Several tax breaks are available for people living with disabilities. These tax breaks aren't always obvious, though. You have to know where to look for them.